Defending the United States Constitution One Case at a Time! 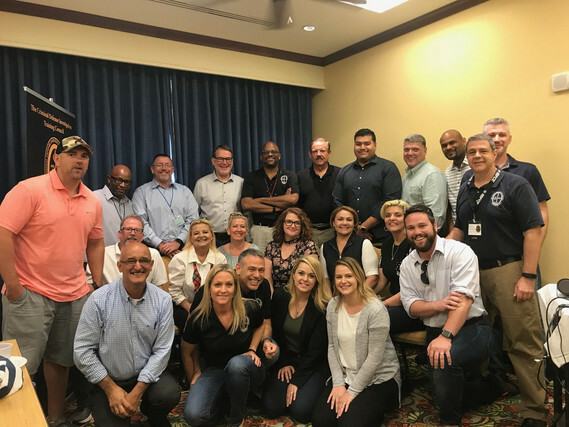 Register now for the 2019 CDITC Academy, September 9-13, 2019, Jensen Beach, Florida. Seating is limited so don't wait to reserve your spot! Watch the Video Message Introduction! The objective of the CDITC is focused upon elevating the discipline of criminal defense and due process investigation to the level of significance and importance that it deserves. 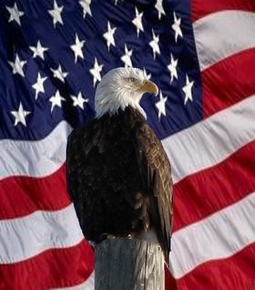 We recognize our fundamental mission as criminal defense and due process investigators is the defense of the United States Constitution with an emphasis upon the 6th Amendment. The Council is actively pursuing the goals of professional competence and academic excellence through Certifications, Training Seminars, Distance Learning, and Academy Level Training Programs. The CDITC methodology and philosophy is the result of over 23 years of research and development. Our programs and curriculum have been developed in concert with public defender agencies, colleges & universities, professional law & investigation associations and top professional criminal defense investigators from across the nation. We are honored to have the finest public defender investigators and private investigators in the nation among our ranks! The Council encourages agencies and professionals actively engaged in the discipline of Criminal Defense Investigation to join the Council and pursue the nationally recognized and prestigious designation of Board Certified Criminal Defense Investigator (CCDI). Are you Board Certified? Congrats to our 2018 Academy Graduates!! Check out our CDI Academy Program page for more pics from this year's Academy! Join the Top Criminal Defense Investigators in the World for the highest level of training available! Federal Public Defenders of San Diego, Inc.
CDITC Director Brandon Perron, CCDI, CFI-FTER will deliver training on January 23-25 to the investigative staff of the Federal Public Defender, San Diego, CA. 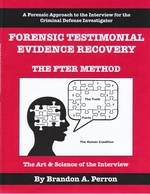 The 3 days of training will include the Component Method of Criinal Defense Investigation & Case Management and Forensic Interviewing - The FTER Method. CDITC Director Brandon Perron, CCDI, CFI-FTER and Amy Perron, CCDI, Chief Investigator for the Public Defender, 19th Judicial Circuit, will be delivering a lecture on May 4th at the FALI Annual Conference in Orlando, FL. 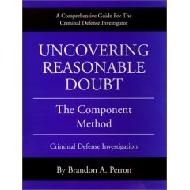 The session will address Difficult & Uncooperative Witnesses - Strategies for Success. CDITC Director Brandon Perron, CCDI, CFI-FTER will be delivering training on June 6-7, 2019 to the investigative staff of the New Mexico Public Defender, Albuquerque, NM. The 2 days of training will deliver the Component Method of Criminal Defense Investigation & Case Management Technology. Don’t miss this High Powered Training Event! Modern Day Investigations Conference - Miami , Florida June 27-29, 2019. CDITC National Director Brandon Perron will join fellow experts Jay Marin and Michelle Stuart to deliver next generation techniques and methodologies. Elevate your level of play. Call 786-332-6300 for more information. 5 day, 40-hour Criminal Defense Investigation Academy at the Marriott Courtyard on the Beach, Jensen Beach, Hutchinson Island, Florida. The program of instruction involves lecture and media based training in general sessions and lead breakout teams in hands-on training. Training offered to satisfy the Academic Requirements of the Board Certified Criminal Defense Investigator (CCDI) and Certified Forensic Science Investigator (CFSI ) designations. Special one day Death Investigation Course to be presented by Dean Beers, CCDI, CFI-FTER, CFSI, CLI. CDITC Director Brandon Perron, CCDI, CFI-FTER will be delivering training on November 14th to the legal and investigative staff of the Federal Public Defender for the Eastern District of Virginia. The session will cover the Component Method of Criminal Defense Investigation & Case Management Technology. Pre-Conference Seminar: CDITC National Director Brandon A. Perron, CCDI, CFI-FTER will be presenting an accelerated one day (8) hours Component Method of Criminal Defense Investigation Course. CDITC National Director Brandon A. Perron, CCDI, CFI-FTER spoke covering multiple topics. The annual event was held September 4-6, 2018, at the Renaissance Fort Lauderdale Cruise Port Hotel, 1617 SE 17th St., Fort Lauderdale, FL 33316. Two day, 12 hours Investigation & Mitigation Training session (Investigator Track). The program is sponsored by the Florida Public Defender Investigation Association, at the Hilton Orlando Lake Buena Vista. The program will focus upon understanding and developing comprehensive mitigation strategies for all types of cases. The APDA Annual Statewide Conference is the training and social event of the year. The three-day conference offers training on an incredibly diverse range of topics for attorneys, investigators, paralegals, mitigation specialists, and administrative support staff. CDITC National Director Brandon A. Perron, CCDI, CFI-FTER is scheduled to present two-part course on Thursday, June 21st, on The Component Method of Criminal Defense Investigation & Case Management. 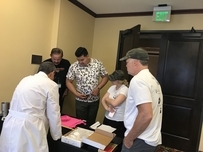 5 day, 40-hour Criminal Defense Investigation Academy held June 11-15th, at the Marriott Courtyard on the Beach, Jensen Beach, Hutchinson Island, Florida. The program involved participant investigative teams with designated team leaders and faculty advisors to facilitate and lead follow-up discussions. Academy Instructors provided lecture and media based training in general sessions and lead breakout teams in hands-on training. Training was offered to satisfy the Academic Requirements of the Board Certified Criminal Defense Investigator (CCDI) and Certified Forensic Interviewer - Forensic Testimonial Evidence Recovery (CFI-FTER) designations. The CDITC is honored to welcome the United States Military into our organization. We had the privilege to deliver the CDITC Certification Training to the investigative team of the Office of Chief Defense Counsel in Washington, D.C. 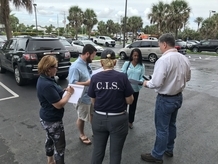 The training was attended by Navy NCIS, Army CID, and Air Force OSI agents as well as civilian investigators assigned to the team. 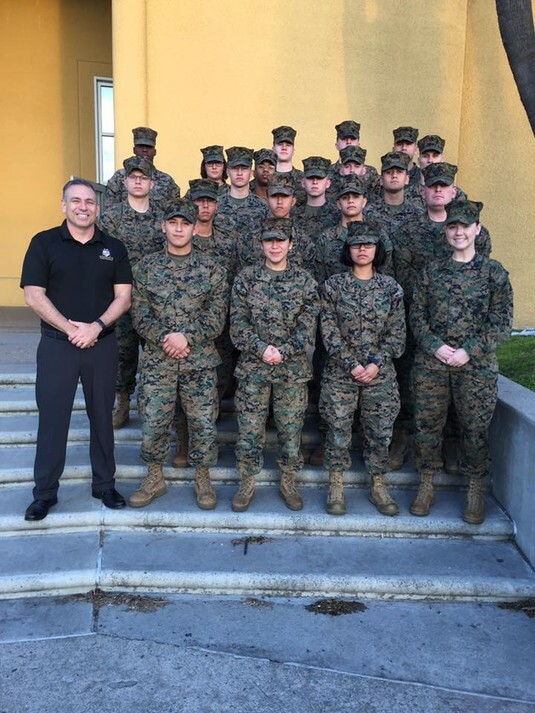 First Graduating Class- United States Marine Corps, CDITC Component Method of Criminal Defense Investigation and Case Management Certification. "I commend you for your commitment to the American ideal of Service. Your efforts are going a long way toward healing and renewing your communities and serve as an inspiration to all who are striving to improve our world." "I secured Mr. Perron’s services to conduct an eight hour intensive training program for criminal defense investigators here in Indiana. The program which Mr. Perron devised, organized and single-handedly taught was the best investigator training we have ever been able to secure for our investigator members." "Brandon Perron, the Executive Director of the CDITC, is a rare triple threat of a presenter. He brings the rare combination of clear communication in preparation, strong substance and excellent showmanship. He motivates and challenges investigators to perform at the highest level and take responsibility for their work and their role in the agency." "We've heard from many attendees how much they appreciated the training. Your are an engaging speaker which made it possible for people to actually stay tuned in for the message. We really appreciate all you did to make this investigator conference such a success for us"
- John Goglach and Pam Sharp, training organizers for the Colorado Public Defender. 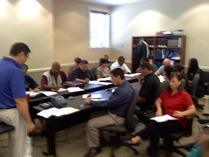 Call 1-800-465-5233 to schedule a training event at your location.